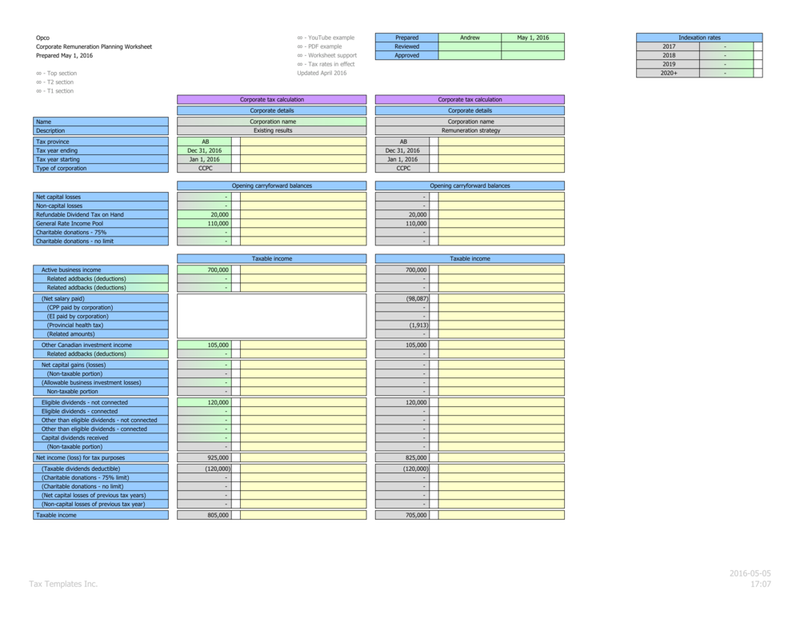 This worksheet allows year-end tax planning for a corporation, and individuals in a family group. 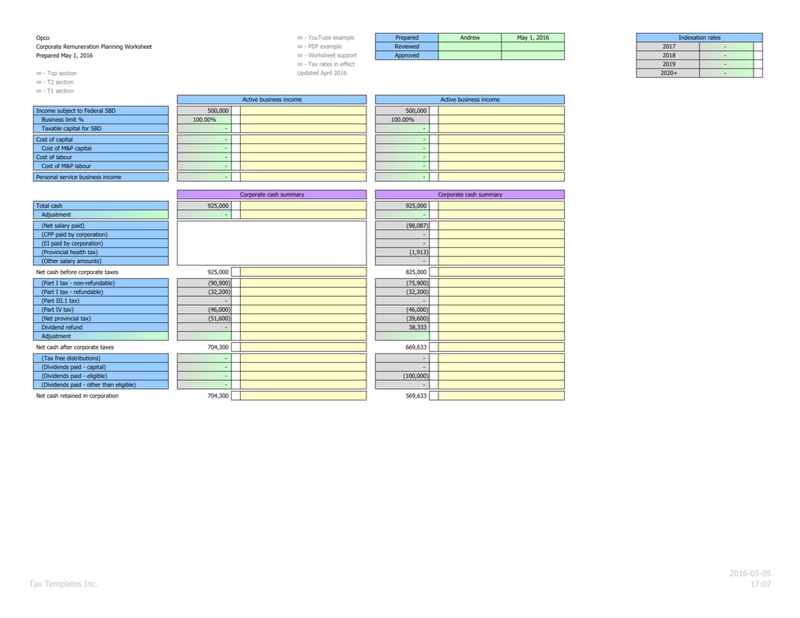 This worksheet projects the corporate and personal tax outcomes of custom remuneration strategies for multiple shareholders/employees. 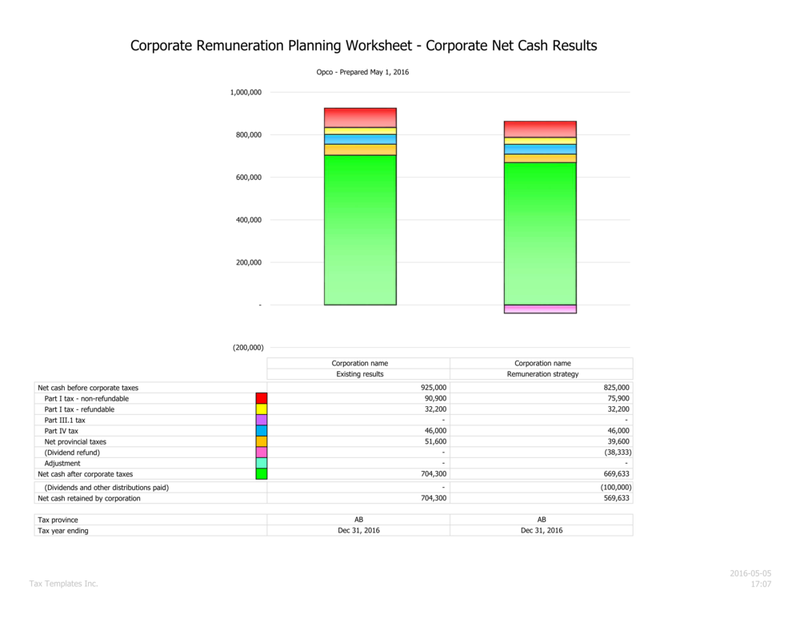 Considering corporate effects, and the exact personal tax situation of each individual, the TTI Corporate Remuneration Planning Worksheet, solves and presents these complex calculations with ease. 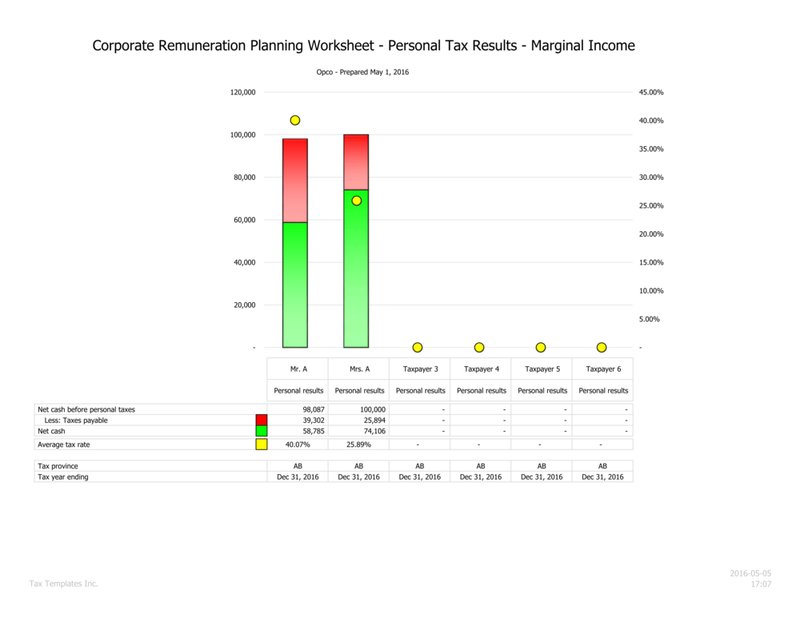 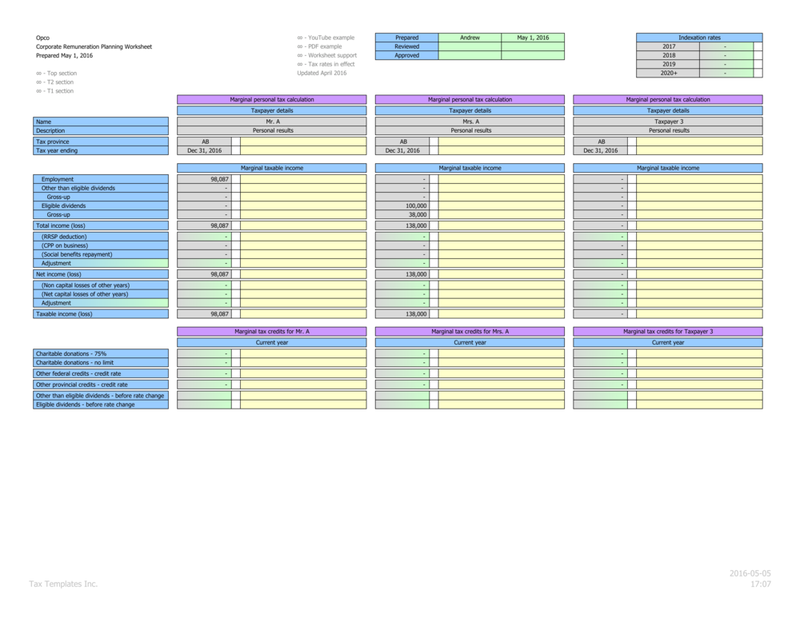 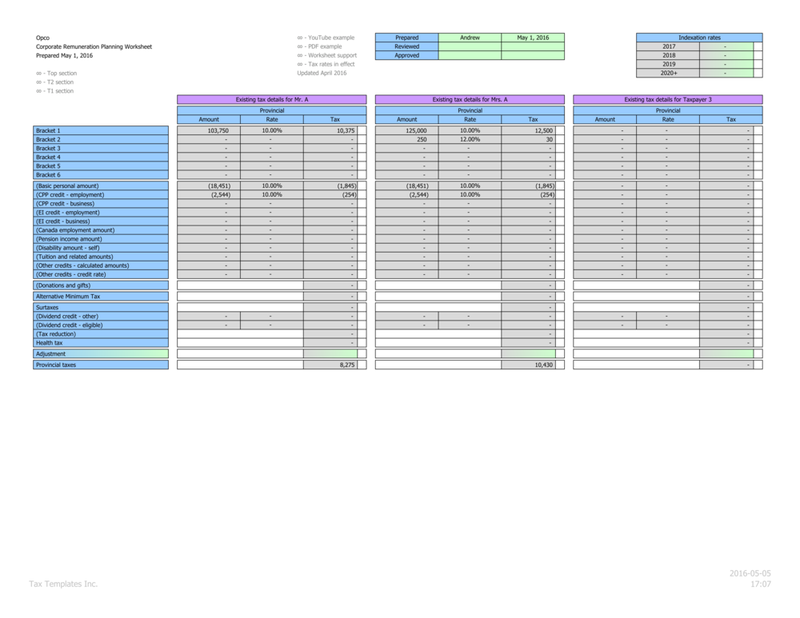 Using this worksheet, you can manage remuneration strategies for up to six shareholders/employees simultaneously, and show your clients insightful visualizations of their corporate and personal tax results.